When a relationship between parents ends there need to be orders with regard to the child. Those orders will establish custody of the child and will set forth a parenting plan with regard to rights, duties, possession, access and support of the child. Custody – or conservatorship – does not relate to how much time a person has the child. It means what legal rights the person has with regard to a child. You can have sole custody of your child and the other parent can still have visitation. Likewise, you can have joint custody of your child and not have the child 50% of the time. the right to manage your child’s estate to the extent the estate has been created by you or other family members. the duty to inform the other conservator of the child if the conservator establishes a residence with a person who is the subject of a final protective order. the duty to manage the estate of the children to the extent the estate has been created by community property or the joint property of the parent. The courts start with the presumption that “joint custody” – or “joint managing conservatorship” – is in the best interest of the child. Essentially, this means that the court feels it is in the best interests of a child to have both parents share parenting rights and responsibilities. While the courts tend to favor parenting plans that call for joint custody – it’s not the right solution in every case. In some instances, establishing “sole custody” – “sole managing conservatorship” – is deemed in the child’s best interests. The most compelling reason is family violence. If there is a finding of family violence, even if the violence was against the other spouse and not the child, the courts will likely decide that joint custody is NOT in the best interest of the child. Though family violence and abuse is the most compelling reason to establish sole custody, it’s not the only reason. Other factors, such as the health of the parents, the involvement, or lack of involvement, of one of the parents, and the ability to provide care and resources for a child may be considered by the court in determining what is in the best interest of the child. If the court awards sole custody – it means the court has found it in the best interests of the child to have only one parent acting as managing conservator. That parent alone has the conservatorship rights. The non-conservator parent may still have visitation rights. If you’re concerned about how the courts will determine child custody in your case or want help creating or modifying a parenting plan that is fair, legally recognized by the courts and takes your child’s best interests into account, consult an attorney who is experienced in child custody. 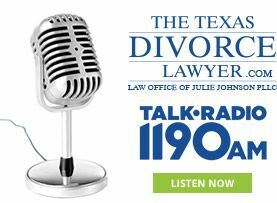 Call us now at 214-265-7630 to consult with an experienced family law attorney now.